The number of caesarean sections has increased significantly in recent years, in part because of doctor concern about potential malpractice claims. A woman who is in labor too long could experience serious complications and extended labor could cause birth injuries to infants. Cesarean sections are viewed as a solution that reduces the potential for problems from long labors and protects doctors from being sued for failure to act on signs of fetal or maternal distress. Now, however, the Boston Globe is reporting that two prominent medical groups have issued new guidelines to encourage more vaginal births. The guidelines are encouraging doctors to allow first-time mothers to stay in labor for longer and to push harder to try to increase the number of infants born without resorting to a C-section. While these new guidelines could actually result in better outcomes for parents and children, it is also essential that doctors carefully monitor all labors to ensure that they don’t endanger the life of the child. 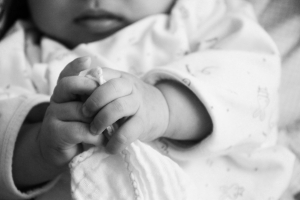 Families affected by birth injuries should consult with an experienced Boston birth injury lawyer. Conditions such as Cerebral Palsy can be caused by a difficult birth and can affect a child for the rest of his life, so it is important for families to be fully compensated for birth injury. Should Fewer C-Sections Be Encouraged? Both the American College of Obstetricians and Gynecologists as well as the Society for Maternal-Fetal Medicine have jointly issued the recommendations calling for fewer cesarean sections. The action was prompted by the fact that multiple surgical deliveries can actually increase certain dangers. With multiple C-sections, there is a greater risk of hysterectomies; injuries to the bowels and bladder, and an increased risk of placental abnormalities. In other words, the very procedure that is supposed to prevent complications is introducing a whole set of problems of its own. A large study conducted in Canada confirms that vaginal deliveries can actually be safer under many circumstances. The study found that there were fewer life-threatening complications like excessive bleeding; uterine rupture and serious infection in mothers who delivered vaginally. While three percent of women who delivered via cesarean experienced a potentially fatal complication that prompted a hysterectomy, less than one percent of women who delivered vaginally did. This is a major concern in Massachusetts, where one woman out of every three now delivers a child in a cesarean section compared with one in five in 1997. A 2011 Department of Public Health Report showed that in Massachusetts hospitals, cesarean rates for first-time mothers with low-risk pregnancies ranged from between 10 and 35 percent. Nationwide, the rates of cesarean deliveries ranged between 23 and 40 percent of all births. To try to bring down these numbers, the new guidelines now recommend that women not be considered in active labor until they are at least six centimeters dilated. Most gynecologists use a four centimeters standard to decide when labor starts. Waiting until a mother is six centimeters dilated changes the calculations for when labor has become prolonged and a C-section is ordered. While some obstetricians may resist the guidelines because of fear of lawsuits, the bottom line is that decisions need to be made with the needs of the specific patient in mind. A doctor who orders an unnecessary C-section could be considered negligent, just as a physician could be negligent if he waits too long. Doctors need to be qualified and provide professional care under the circumstances, whether in a vaginal or surgical delivery, in order to protect their patients. If your family was affected by a birth injury in Boston, contact Jeffrey S. Glassman for a free and confidential appointment to discuss your rights. Call 1-888-367-2900.